As an island nation, Ireland is among the perfect destinations for a cruise. In addition to being extremely accessible from the Western European mainland as well as major British port cities, the country also boasts lots of history and beautiful landscapes. 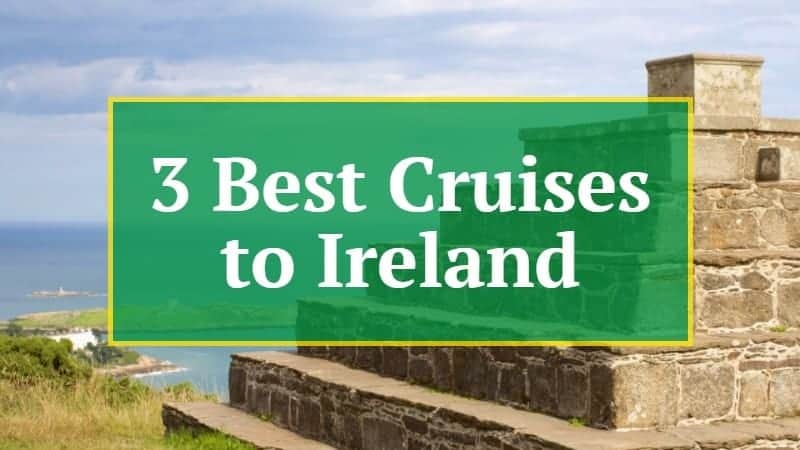 Now, there’s a lot of different cruises that call at ports on the Emerald Isle, but the following three are definitely among the best cruises to Ireland. Are you after a relaxing vacation soaked in culture and history? Or do you maybe want some more nature in your trip? Something that combines everything perhaps? Well, the best cruises to Ireland are those that include everything, from historic sites to Dublin pubs and epic (coastal) landscapes. These three have it all—and even more! What sets them apart and makes them so great is that they depart from major cities in Western Europe, respectively London/Southampton, Amsterdam and Paris/Normandy. Note that these cruises are all quite popular. 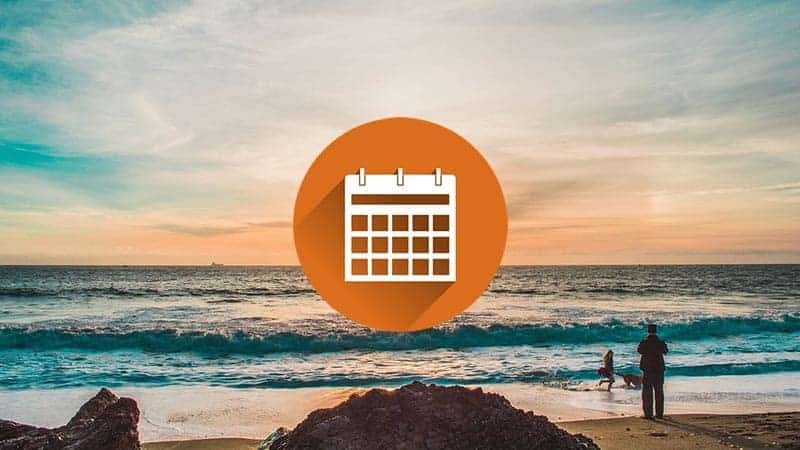 In order to find the best cruise deals, you can check out the tips in this blog post. If you’re entirely new to cruising, you might find these cruise hacks and tips useful. This fantastic 12-night, 13-day circuit cruise from Amsterdam takes in the Netherlands, Belgium, Ireland, England and Scotland for the ultimate Low Countries and British Isles cruise. The beauty of this particular cruise is that, after a day in Amsterdam, in Bruges and at sea, it stops at three ports in Ireland. The first one is Cork (Cobh), where you’ll be docked from 7 am to 6 pm. 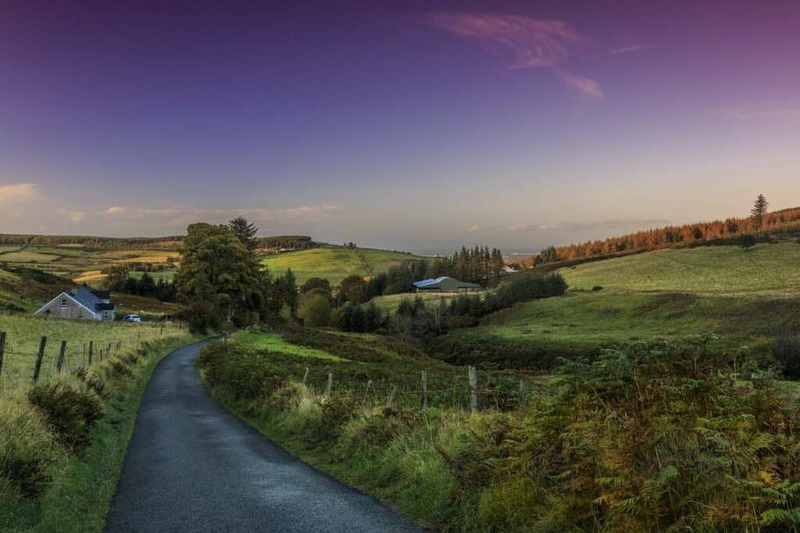 This gives you plenty of times to explore the hilly streets of Ireland’s culinary heart. Home to bustling markets and excellent restaurants, Cork is a great place to discover Ireland’s best food. A day later, the ship will be tendered at Waterford. Founded in 914 by the Vikings, this is one of the oldest cities in the country, a place that offers you the chance to dive headfirst into Ireland’s fascinating history. Visit the Waterford Museum of Treasures for archaeological artifacts or the 18th-century Waterford Crystal Factory for some of the nation’s greatest glassware. On day six of this amazing cruise—truly one of the best cruises to Ireland—you’ll be in the capital. The city of Dublin is the urban symbol of Ireland, a place dating back a thousand year and filled to the brim with historic architecture and lively pubs. There’s plenty to do and you only have one day, so you’ll have to choose between iconic attractions such as Dublin Castle, Trinity College, St. Stephen’s Park, the Jameson Distillery, the Guinness Storehouse and the James Joyce Cultural Center. After three memorable days in Ireland, the cruise continues to Liverpool, Edinburgh and Dover before arriving back in Amsterdam. 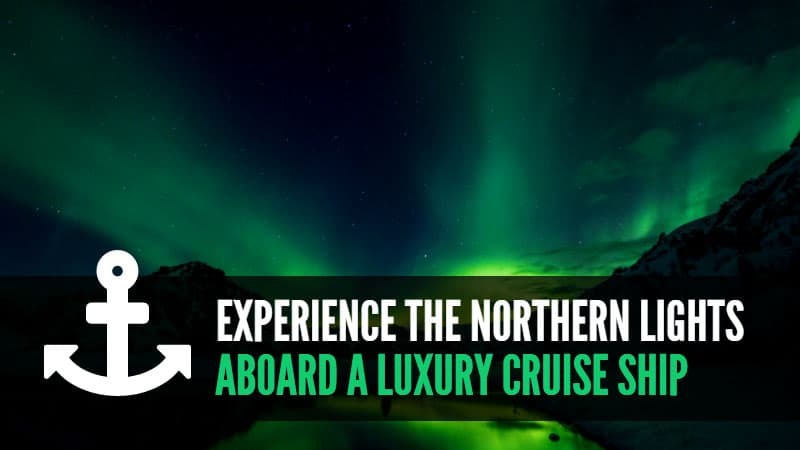 Norwegian’s British Isles Cruise from London is not only one of the best cruises to Ireland, it’s simply one of the greatest around the British and Irish islands. Departing from Southampton, this 12-day cruise loops around the British Isles, stopping at several major ports. After stops in Guernsey on the Channel Islands and in Portland, the ship arrives in Cork (Cobh) on the third morning. From 9 am to 7 pm, you’ll have time to explore this fascinating and perhaps underrated Irish coastal city. This is, in fact, Ireland’s second city—people from Cork will claim it’s the first city—and has a thriving culinary scene, lots of history and beautiful countryside. The second stop in Ireland is Dublin. A full day allows you to wander all over this bustling city and visit some of its major attractions. 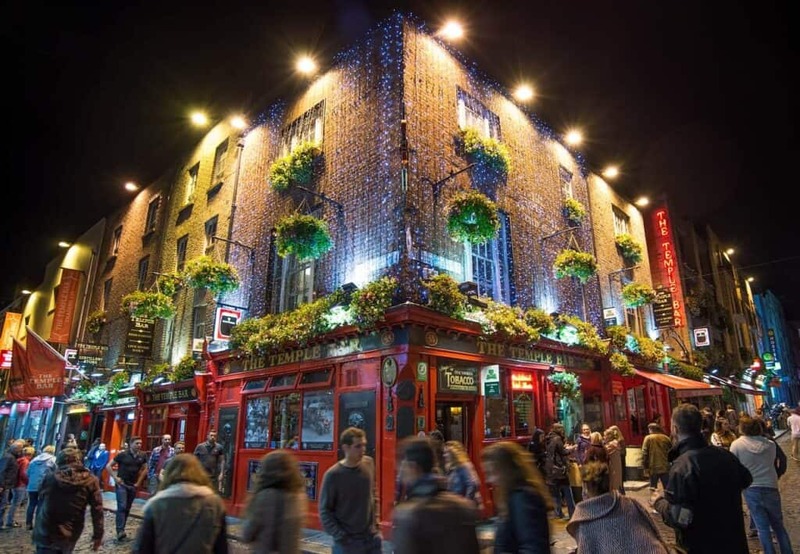 “Must-dos” include having a pint or two of Guinness in a historic pub, window shopping on O’Connell Street, stroll along the River Liffey and wander the grounds of Trinity College. After Ireland, the cruise heads to Scotland, a similarly fantastic destination. There, you’ll visit iconic places like Glasgow, Inverness and Edinburgh. Twelve days on Princess Cruises’ Royal Princess take you to no fewer than eight ports all over the British Isles. The ship departs from Le Havre in Normandy, designated a UNESCO World Heritage Site because of its historic architecture and the gateway to the historic D-Day landing sites and Normandy spectacular coastline. After stops in Southampton and Guernsey, you’ll arrive in Cork (Cobh) on the third morning of your cruise. 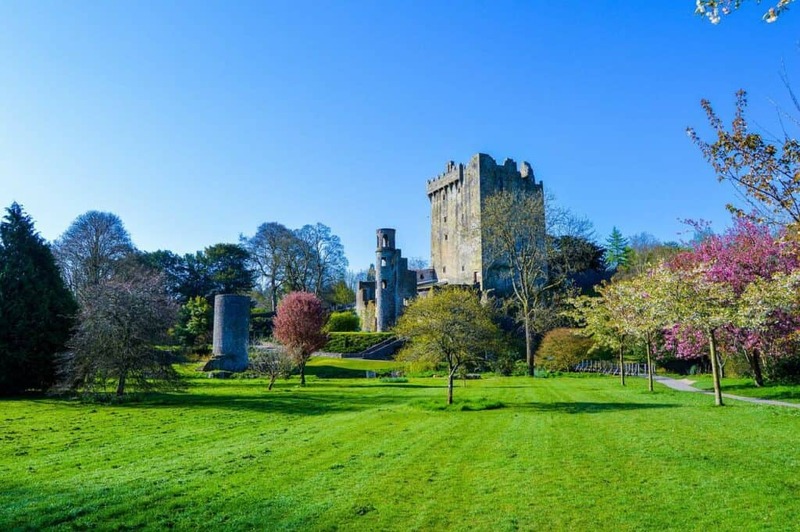 Make sure to grab a picnic lunch at Cork’s superb English Market before heading out for a visit to Blarney Castle, arguably Ireland’s most famous fortress. If you’re interested in archaeology and history, the region around Cork has plenty to keep you busy. It has one of the densest concentration of prehistoric sites in Western Europe. After Cork and surroundings, the ship calls at Dublin, the Irish capital. You have two full days, including an overnight, to explore every corner of this great city. This diverse city is one of Europe’s most popular places for city breaks and it’s easy to see why. Besides its historic buildings and vibrant nightlife, Dublin is also a great literary city. This is, after all, the former home of writers of the likes of Wilde, Beckett, Joyce, Shaw and Yeats. The ship continues to the west coast of Scotland, where you’ll spend another two days in Glasgow before visiting Belfast. Northern Ireland’s capital has had its fair share of violence and turbulence, but it is now experiencing an urban renaissance. Visit the historically contested neighborhoods and see political graffiti along Shankill Road and Fall Road. Also don’t forget to also check out Titanic Belfast, a futuristic-looking museum about Belfast’s shipbuilding history—this was, after all, the Titanic was built. These are without question some of the best cruises to Ireland. They take you to a couple of the island’s greatest historic cities, providing a good taste of what Ireland has to offer. From cultural experiences to culinary delights, historic sites and world-famous beers, these cruises deliver it all!